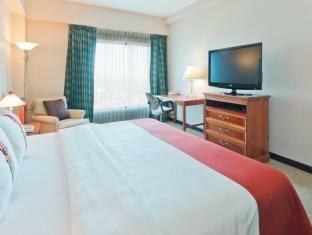 ﻿ Best Price on Holiday Inn Convention Center in Managua + Reviews! Nestled in a privileged location close to important corporate buildings and the UN Headquarters, Holiday Inn Convention Centre boasts an outdoor pool, a business centre and free WiFi access throughout. 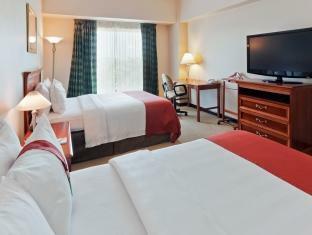 All rooms at Holiday Inn Convention Center feature double beds with triple sheeting and cable TV. 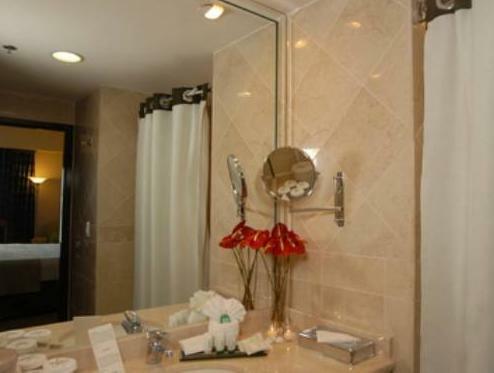 Each has a private bathroom with a shower including a hairdryer and toiletries. Holiday Inn Convention Centre features a casino, a pool-side bar, a gym, and an on-site restaurant called Anfora which specializes in international and typical local dishes. Room service is available 24 hours a day. The business centre is equipped with all what is needed to hold up a meeting, conference, social event or a small gathering. Free parking is provided on site. Managua International Airport is 14 km from the hotel, while Lake Managua can be reached in 10 minutes by car. Hotel is in a good location in Managua. In room internet was complimentary and worked well unlike other hotels in the same area. Staff was helpful and friendly with a good knowledge of English. Good value for the money. Room service was a little slow but the room service menue is fairly extensive with the food quality being satisfactory to good. Noisy events at the back may be disruptive to rooms on that side but I didn't hear a thing with a room on the front. The full breakfast buffet is a good value. Perhaps the hotel has recently converted to a 100% no smoking facility since the hallway on the fourth floor and our room on that floor had a pervasive cigarette smell. If you are looking for a non-smoking accomodation, this would not be my first choice. Sehr aufmerksames Personal im Restaurantbereich, gutes Buefett, Zimmerservice okay aber nicht gut. Englisch-Kenntnisse in der Lobby nicht ausreichend. Wenig Information zur gefaehrlichen Situation im nahen Umfeld. Raubueberfaele etc.